Purpose: We present a unique case of large sliding paraesophageal hiatal hernia, intrathoracic stomach and achalasia in a 54 year old male. 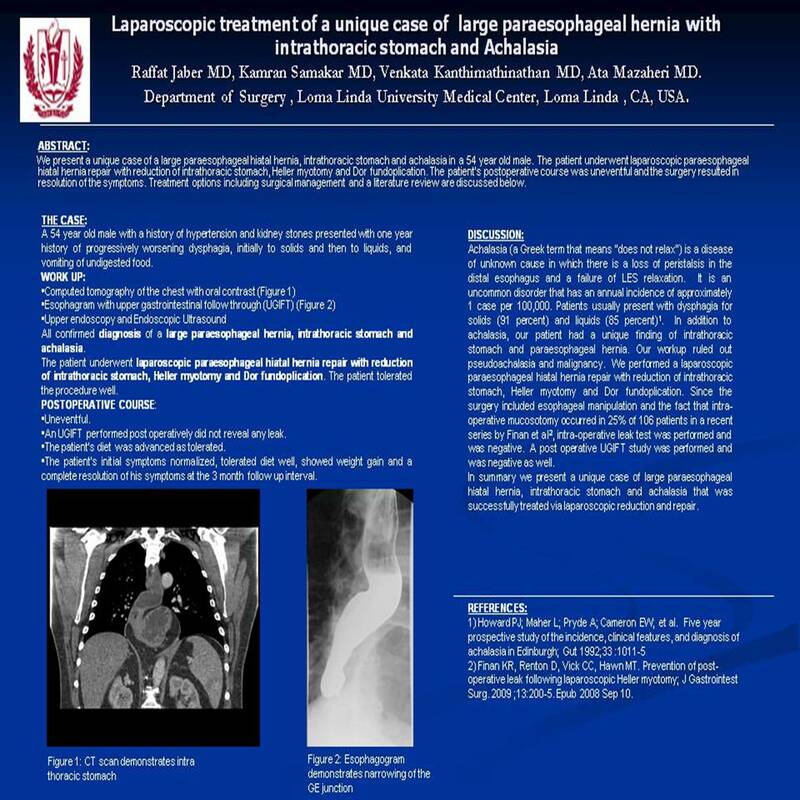 Due to the concomitant paraesophageal hiatal hernia and intrathoracic stomach, and the need for surgical treatment, endoscopic management for achalasia was not attempted. The patient underwent laparoscopic paraesophageal hiatal hernia with reduction of intrathoracic stomach, Heller myotomy and Dorr fundoplication. The patient’s postoperative course was uneventful and resulted in resolution of his symptoms. Treatment options, including surgical management, and a literature review are discussed.